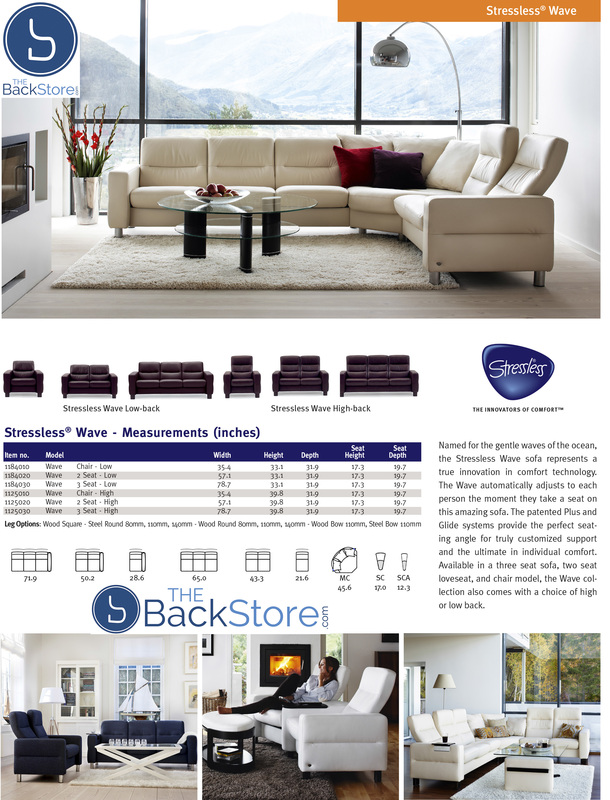 Ekornes Stressless Wave Low Back Sofa - Ekornes Stressless Wave Low Back Sofas, Stressless Chairs, Stressless Sofas and other Ergonomic Furniture. In-Home Delivery and Setup is Included on Select New Stressless Chairs to California Customers. Ekornes Wave Low Back - STRESSLESS WAVE SALE Till January 16th Only. 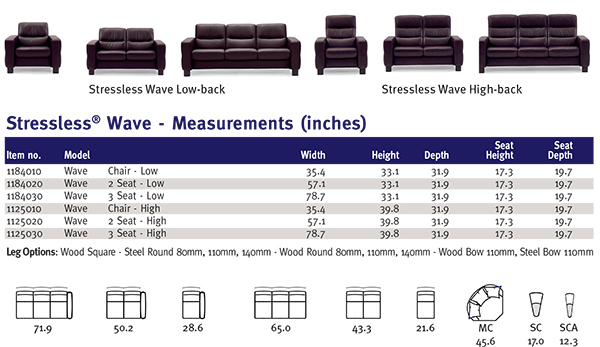 STRESSLESS WAVE SALE Till January 16th Only. 1. 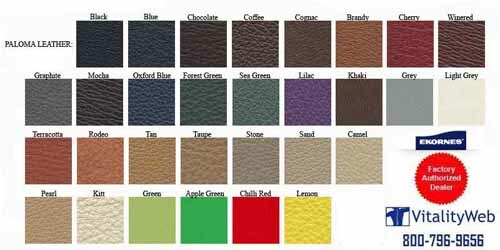 Quickship color is Paloma Rock for Wave Sofas and Sectionals. 2. Free in Home Delivery for the lower 48 States. Free Curbside Delivery to Islands and other remote areas. 3. Paloma Black, Brandy, Chocolate, Khaki, Kitt, Light Grey, Rock, Sand, Taupe, Royalin Dark Brown and Royalin TigerEye only have a 6-8 week lead time. 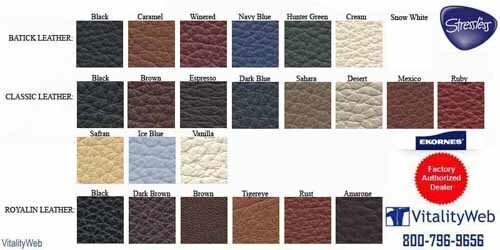 All other Fabric and Leather colors are Custom Ordered from Norway and will generally take 10-12 weeks to arrive. Stressless Wave Sofa, Loveseat, Chair, Home Theater and Sectionals. Named for the gentle waves of the ocean, the Stressless Wave sofa represents a true innovation in comfort technology. The Wave automatically adjusts to each person the moment they take a seat on this amazing sofa. The patented Plus and Glide systems provide the perfect seating angle for truly customized support and the ultimate in individual comfort. Available in a three seat sofa, two seat loveseat, and chair model, the Wave collection also comes with a choice of high or low back. MatchingStressless Products for this Sofa Group: Atlantic and Pacific Recliners.